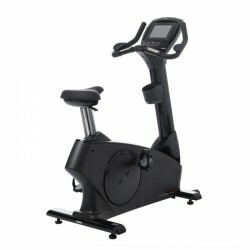 The Taurus commercial exercise bike 10.5 Pro convinces by outer and inner values. Under the precious surface, a very sturdy, highly loadable frame is covered. Many varied programmes can be chosen on the display with touchscreen. The upright bike is suitable for regular, intensive cardio workouts at home, at school, at clubs, and at a gym. The recumbent bike of the 10.5 New Line commercial fitness equipment of Taurus offers a long lifespan even for frequent and high intensities. Exercising on the sturdy recumbent bike is joint-gentle, varied, and very comfortable. The Taurus recumbent exercise bike RB10.5 Smart combines a maximum training comfort with the highest stability and a nice design. The recumbent bike with commercial certification offers a very easy training control and a lot of entertainment functions thanks to the integrated tablet. Taurus exercise bikes are extremely stable and stylish fitness machines for losing weight, for improving your fitness or for increasing your maximum performance. 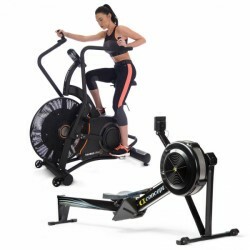 The range includes the classic exercise bike, the recumbent exercise bike, and the indoor bike with exercise bike function, that means with watt-precise adjusting of the training load. 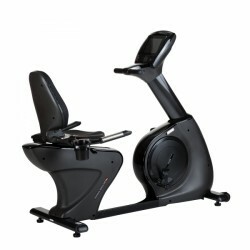 You will find the appropriate exercise bike of Taurus, which meets your requirements. 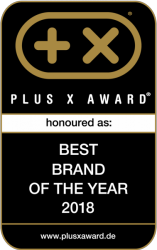 High-quality components and most modern technology ensure that the exercise bikes grow with their training progress and keep their stability even during most intensive loads - and all this with the best movement quality. In addition, the exercise bikes look great with their clear design at the fitness room or even in the living room at home. Regarding the brake system, Taurus focusses on maintenance-free and wear-free electronic induction brakes for its exercise bikes. 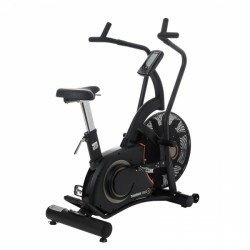 Benefit from the commercial quality at an attractive price of the Taurus exercise bikes! 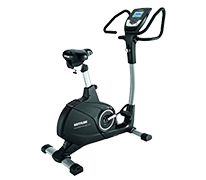 The Taurus commercial exercise bikes 10.5 Pro and 10.5 Smart are designed for commercial use thanks to their sturdy workmanship and they also offer a commercial warranty. Of course, that does not mean that the high-quality exercise bikes can exclusively be found at fitness gyms; in fact the description "commercial exercise bike" is rather a quality garantor. Those, who want to indulge themselves with the luxury of highest training ergonomics at home, can consider a professional exercise bike, of course. 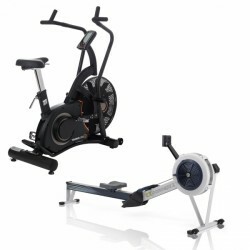 An exercise bike of commercial quality is also the right choide, when the machine is regularly used by several persons, i. e., by all family members. A lot of diversion and good entertainment while exercising - most fitness enthusiasts look for it. That's why we have equipped the exercise bike 10.5 Smart and the recumbent exercise bike RB 10.5 Smart with the interactive Smart console. It integrates a tablet, so that you can comfortably browse or check your social media channels while exercising. Together with many different training programmes, diversion is guaranteed. The recumbent exercise bikes of Taurus are equipped with a comfortable, adjustable backrest, which relieves the back during the training. That's how users, who suffer from back pain or movement restrictions, can take very back-gentle training position. Both Taurus recumbent exercise bikes, the 10.5 Pro and the RB 10.5 Smart, are extremely stable constructed and are designed for professional use at fitness gyms, rehabs, and therapy institutions. Together with the most modern exercise bike technology and the eco-friendly generator drive, the recumbent bikes are comfortable fitness machines for a gentle cardio training. What does a Taurus indoor cycle has to do with exercise bikes? 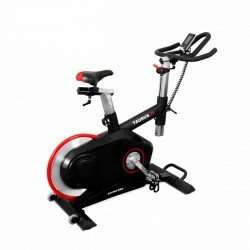 A lot, because the indoor cycle Racing Z9 and the indoor cycle Racing Z9 Pro have a particularity: They are watt controlled indoor cycles and hence unique fitness machines. Both models combine the stability and sitting ergonomics of an indoor cycle with the precise training control of on exercise bike. A strong, high-quality frame, an adjustable racing saddle as well as a sporty handlebar with different grip possibilities meet a watt precise resistance control of up to 500 Watt.